Sweeney is the Republican nominee for the seat vacated earlier this month by Sen. Bill Dix. The special election will be held April 10 for voters in District 25, which comprises Butler, Grundy, Hardin and Story counties in Central Iowa. Sweeney and her husband, Dave, raise cattle and crops on their farm in Hardin County. 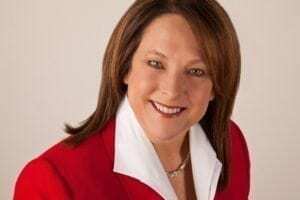 Sweeney resigned her post as State Director for USDA Rural Development in Iowa last week to run for this Senate seat. She formerly served in the Iowa House of Representatives from 2009 to 2012 and as the chair of the House Agriculture Committee. Sweeney led the Women for Trump coalition during President Donald Trump’s 2016 campaign and is a former educator and publisher. She is president of Iowa Agri-Women and received the Howard Hoover Uncommon Public Servant award. The Iowa Federation of Republican Women (www.iowafrw.org), founded in 1939 in Tama County, is the premier organization for uniting the voices and values within the Republican Party, and is part of the National Federation of Republican Women, founded in 1938. The NFRW (www.nfrw.org) is the largest and most influential women’s political organization in the nation, proudly representing the party that first made it possible for women to vote in the U.S. and working to increase the effectiveness and relevance of women in the cause of good government.